GAGAS is just one of the standards that exists to guide you as an auditor. You may also use or be subject to the IIA’s Professional Practices Framework, the AICPA’s Statements on Auditing Standards, the AICPA’s Statements on Standards for Attestation Engagements, the Public Corporation Accounting Oversight Board (PCAOB) standards, or even one of many international auditing standards. What can make compliance so difficult is that these standards sometimes conflict or even try to outdo each other. The Yellow Book is considered the toughest standard of them all. In 2006, I had the chance to meet David Walker, the Federal Comptroller General and leader of the GAO at the time, and I asked him whether he thought the standard-setting boards would ever come to agreement on terminology and standards. He said he was working on it. Then I put my foot in my mouth and said that the PCAOB standards were the preeminent standard and that everyone was scrambling to be like them. He quickly corrected me and said that the Yellow Book was the toughest standard out there, and his goal was that the Yellow Book would remain the preeminent standard that all other standard-setting bodies would emulate. For most of my audit career, the Yellow Book has been a superior document to the AICPA standards. But in the last ten years, the AICPA has been working to tighten up their standards. The AICPA audit standards regarding risk assessment significantly changed the way that audit planning is conducted. 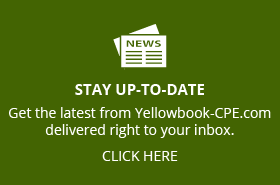 All revisions of the Yellow Book, all chapters, including the financial, attestation, and performance chapters, sync up with the language contained in these and all subsequent AICPA audit standards. It is important to note that the performance standards – which do not have to follow the AICPA standards – borrow heavily from and use the same language as the AICPA. If you conduct a financial or attestation engagement under the Yellow Book standards, you also must follow the AICPA standards for audits and attestation engagements. The performance auditing standards do not adopt the AICPA standards, although they do use similar language and have similar requirements to the AICPA standards. The Yellow Book goes on to mention other standards and says that these other standards are not incorporated into GAGAS but can be used in conjunction with GAGAS. In case of conflict, GAGAS should prevail. 2.12 Auditors may use GAGAS in conjunction with professional standards issued by other authoritative bodies. a. The American Institute of Certified Public Accountants (AICPA) has established professional standards that apply to financial audits, attestation engagements, and reviews of financial statements for nonissuers (entities other than issuers under the Sarbanes-Oxley Act of 2002 such as privately held companies, nonprofit entities, and government entities) conducted by certified public accountants (CPA). For financial audits and attestation engagements, GAGAS incorporates by reference AICPA Statements on Auditing Standards and Statements on Standards for Attestation Engagements. For reviews of financial statements, GAGAS incorporates by reference AR-C, section 90, Review of Financial Statements. b.The International Auditing and Assurance Standards Board (IAASB) has established professional standards that apply to financial audits and assurance engagements. Auditors may elect to use the IAASB standards and the related International Standards on Auditing and International Standards on Assurance Engagements in conjunction with GAGAS. c.The Public Company Accounting Oversight Board (PCAOB) has established professional standards that apply to financial audits and attestation engagements for issuers. Auditors may elect to use the PCAOB standards in conjunction with GAGAS. 6. IT Standards, Guidelines, and Tools and Techniques for Audit and Assurance and Control Professionals, Information Systems Audit and Control Association. Defining the type of audit engagement is sometimes a matter of professional judgment. In other words, it isn’t a black-and-white decision. 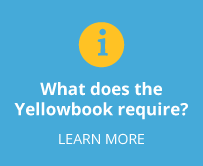 Understanding your options and choosing well is an important step in a Yellow Book audit. Determining which type of audit you are conducting has confused more than one auditor and the requesting client. For example, if you are tasked with ensuring compliance with state regulations regarding a state grant for a school lunch program, you could, as we will see in the audit type definitions below, do that audit as a performance audit or as an attestation engagement. One internal audit shop I work for on a regular basis operates inside a large state agency. They are responsible for a multitude of auditing and monitoring functions. Sergio, their audit director, is not a CPA. He is a certified internal auditor (CIA), a designation awarded by the IIA. Besides being an audit director, Sergio is on the international planning committee for the IIA. And he knows nothing about AICPA standards, and he doesn’t want to know about AICPA standards! Since he works for a Texas state agency, state law dictates that he must simultaneously use the Yellow Book and the Red Book (the IIA’s standards). He jokingly calls himself an “orange” shop (Get it? Red and yellow make orange.). He does not even factor the AICPA into his work or his thinking and, thus, calls everything he does a performance audit. Is that okay? Yes, because the GAO says in 1.15 that some engagements may have objectives that could be met using more than one approach. 1.14 All GAGAS engagements begin with objectives, and those objectives determine the type of engagement to be conducted and the applicable standards to be followed. This document classifies financial audits, attestation engagements, reviews of financial statements, and performance audits, as defined by their objectives, as the types of engagements that are covered by GAGAS. 1.15 In some GAGAS engagements, the standards applicable to the specific objective will be apparent. For example, if the objective is to express an opinion on financial statements, the standards for financial audits apply. However, some engagements may have objectives that could be met using more than one approach. For example, if the objective is to determine the reliability of performance measures, auditors can perform this work in accordance with either the standards for attestation engagements or performance audits. And Sergio isn’t the only one faced with this decision. CPAs in public practice are regularly asked to help governmental entities with more than financial statement audits and single audits. I had a long phone call with a partner from a national CPA firm who wanted to take on a project for one of her steady clients, but her technical advisors were prohibiting her from taking on the project. It seems that the client, a state agency, was unclear in their request for proposal. The request for proposal called for a performance audit of funds spent by their sub-recipients. But, to her, what she read in the request for proposal did not sound like a performance audit. The state agency passed federal funds and state funds to not-for-profits. These not-for-profits reported their expenditures back to the state and asked for reimbursement. The state agency wanted to make sure the costs were valid but didn’t have the manpower to check for themselves. Instead, they sent out a request for proposal asking her firm and other firms to conduct a performance audit of these payments. This simple project did not sound like a full-blown performance audit. It sounded more like a review or agreed-upon procedure to the partner and I agreed. The Yellow Book devotes two lengthy chapters to describe requirements for conducting a performance audit. A performance audit involves a lot of planning, including understanding internal controls and conducting a risk assessment. A performance audit doesn’t simply stop at saying what is so; a good performance audit will also tell you why something is as it is. For instance, if the sub-recipient was not reporting the proper costs, the auditor would find out how this happened and then recommend something be done to keep it from happening in the future. It sounded from the request for proposal that the state agency only wanted to know if the amounts were correct, not why the amounts were not correct. What this project is called will make a huge difference in how much money is spent to get it done. And it is not normal for a CPA firm to take on a performance audit. Not impossible, but not normal, either. Generally, legislative auditors or internal auditors, rather than CPA firms, perform performance audits because performance audit standards do not integrate or refer to AICPA requirements. 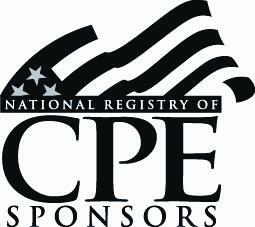 CPAs can choose among several engagement types and still apply AICPA standards. The AICPA rules the behavior of a CPA. But CPAs have a good amount of flexibility under the AICPA standards; they can perform their work under AICPA rules for financial audits, attestation engagements, or consulting engagements. It is very important for CPAs to call it the right type of engagement because the rules are different for each type of engagement. The CPAs’ choice will also impact their ability to perform other work for the government in the future. The CPA firm partner was leaning toward calling this engagement an attestation engagement. On an attestation engagement, a CPA would attest to the truth of a simple statement such as, “Costs reported by the sub-recipients are accurate and properly classified.” This will be a relatively inexpensive engagement. The CPA will not ask why the reports were inaccurate but will simply verify that they are or aren’t. If the reports are inaccurate, the state agency will have the responsibility to follow up to find out what happened. I’m just ball-parking here (and I am sure I will get some emails on this! ), but say that a performance audit costs $45,000, an attestation engagement costs $20,000, and it costs $6000 for some dude to simply check the numbers. Who is this dude? He is so cheap! This dude is not a CPA and doesn’t follow any standards for his work. He will simply go out and verify that the numbers are OK and report back. And maybe in this case, that would be an appropriate thing for the state agency to pay for. My CPA friend complained that these dudes are undercutting her and taking plenty of business. One dude even goes as far as to name his company using CPA-like words (like Assurance, Inc.) to imply that he does work similar to a CPA. our reports undergo quality review. The dude doesn’t have to worry about standards or independence. The dude doesn’t have to follow any of those standards. No wonder he is so cheap. And he doesn’t have to worry, as my CPA friend does, about compromising auditor and firm independence when it comes to future work. It boils down to the question the client wants answered, whether they care about audit standards and cost. Which is more important, cost or standards? Is it important to the state agency that the auditor tell them that the numbers are accurate or why numbers are inaccurate or both? Do they want to be sure that rigorous and thorough work was done to uncover the inaccuracies and reasons for the inaccuracies? If the client answers yes to the second and third questions, they are right to call it a performance audit. Is the state agency primarily interested in having a few simple questions answered about the numbers, such as accuracy or categorization of expenditures? If so, then they should choose to call this project an attestation engagement. If the state agency doesn’t want any standards followed, then it can simply ask someone to verify the numbers for them and in this case, the dude can perform the work. See how much more involved this decision is? I doubt the state agency really wants a performance audit, but they don’t want to take the time to think about and define what they really want. The term “performance audit” specifies what type of work is involved and selecting this term to describe a project in an RFP has its consequences. It means something specific and costly to the professionals responding to the RFP. And, in this case, it means that the state agency would spend more of the taxpayers’ money than necessary. The third type of engagement on this list is new to the Yellow Book as of 2018; reviews of financial statements. The first type of audit is the financial audit. Financial audits are the most clearly defined type of audit. 1.17 Financial audits provide independent assessments of whether entities’ reported financial information (e.g., financial condition, results, and use of resources) is presented fairly, in all material respects, in accordance with recognized criteria. Financial audits conducted in accordance with GAGAS include financial statement audits and other related financial audits. a. Financial statement audits: The primary purpose of a financial statement audit is to provide financial statement users with an opinion by an auditor on whether an entity’s financial statements are presented fairly, in all material respects, in accordance with an applicable financial reporting framework. Reporting on financial statement audits conducted in accordance with GAGAS also includes reports on internal control over financial reporting and on compliance with provisions of laws, regulations, contracts, and grant agreements that have a material effect on the financial statements. An audit concludes or opines on whether a subject matter meets criteria. In the case of a financial audit, the subject matter is either the financial statements or some component of the financial statements. And the criteria is generally accepted accounting principles (GAAP), or some other set of rules about what the financial statements should look like. In order to express an opinion, a financial auditor has to do plenty of work to gather evidence that the information presented in the financial statements is valid. Opinions aren’t thrown around lightly, and these engagements take a lot of time and, therefore, cost the client a lot of money. Why knowingly choose to have a financial audit performed when they are so costly? Because the users of financial statements cannot trust the creators of the financial statements to tell the full truth and follow rules on their own. Yes, it is a sad state of affairs that some people and organizations lie to make themselves look good. But you only have to remember the litany of corporate scandals our global economy has suffered due to those who have lied on their financial statements to see the need. Some organizations are required to undergo financial audits by regulators or grantors. If the entity and trades stock on the US stock market, they must undergo a financial audit per SEC (Security and Exchange Commission) regulations. Or, if the entity receives federal grant funds and triggers a Single Audit, the federal government requires your auditor to express an opinion on the financial statements and verify compliance with the grant terms and conditions. But what if the client asks you to evaluate another subject matter against another criteria? Or what if the client doesn’t want to pay for an opinion? Instead, they would just like a CPA firm to check something for them because they want the CPA’s objective assessment of a situation. In order to conduct an attestation engagement, the auditor must also apply the AICPA’s SSAEs or Statements on Standards for Attestation Engagements. 1.18 Attestation engagements can cover a broad range of financial or nonfinancial objectives about the subject matter or assertion depending on the users’ needs. In an attestation engagement, the subject matter or an assertion by a party other than the auditors is measured or evaluated in accordance with suitable criteria. The work the auditors perform and the level of assurance associated with the report vary based on the type of attestation engagement. 1.18a Examination: An auditor obtains reasonable assurance by obtaining sufficient, appropriate evidence about the measurement or evaluation of subject matter against criteria in order to be able to draw reasonable conclusions on which to base the auditor’s opinion about whether the subject matter is in accordance with (or based on) the criteria or the assertion is fairly stated, in all material respects. The auditor obtains the same level of assurance in an examination as in a financial statement audit. b. Review: An auditor obtains limited assurance by obtaining sufficient, appropriate review evidence about the measurement or evaluation of subject matter against criteria in order to express a conclusion about whether any material modification should be made to the subject matter in order for it to be in accordance with (or based on) the criteria or to the assertion in order for it to be fairly stated. Review-level work does not include reporting on internal control or compliance with provisions of laws, regulations, contracts, and grant agreements. The auditor obtains the same level of assurance in a review engagement as in a review of financial statements. c. Agreed-upon procedures engagement: An auditor performs specific procedures on subject matter or an assertion and reports the findings without providing an opinion or a conclusion on it. The specified parties to the engagement agree upon and are responsible for the sufficiency of the procedures for their purposes. The specified parties are the intended users to whom use of the report is limited. When would a client ask for an examination? When they have a subject matter on which they want an opinion that doesn’t qualify as a financial audit. Audit literature frequently uses the term “levels of assurance.” If the client wants a high level of assurance that the subject matter meets the criteria, the auditor has to do an awful lot of work. In other words, in order for the auditor to pinky-swear that the subject matter meets the criteria, the auditor must gather a lot of evidence, and gathering and documenting evidence takes a lot of work. High assurance generally equates to an opinion in CPA-land. In recent audit literature, the term ‘high assurance’ has been replaced with ‘reasonable assurance’ because the AICPA has become uncomfortable promising a high-level assurance! If the client can tolerate a moderate amount of assurance – if they are OK with the CPA telling them that “nothing came to their attention” that needs adjustment – then they can ask for a review. If they want no assurance that something is true, the client can ask the auditor to perform an agreed-upon procedure engagement. In that case, a CPA simply says, “I did this and here is what resulted” – no opinion, no consideration of anything outside of the agreed-upon procedure itself. For example, my church undergoes a financial audit every two years that costs them around $13,000. In the off years, they ask the CPA firm to conduct a review of controls over cash receipts, which costs them only $5,000. While it costs less, the church also receives less assurance over a more limited subject matter. A financial audit provides the client with a reasonable (high) level of assurance that the financial statements meet GAAP. An attestation engagement can provide the client with a reasonable (high) level of assurance, a moderate level of assurance, or no assurance about a wide variety of subject matters evaluated against a wide variety of criteria. Performance audits are wide open! The only thing a performance auditor cannot do is opine on whether the financial statements are presented in accordance with GAAP. Every other audit objective is fair game in this category. Performance audits are generally conducted at a reasonable (high) level of assurance although technically, performance auditors can also offer a moderate level of assurance. The GAO defines performance audits as engagements that provide assurance or conclusions based on an evaluation of sufficient, appropriate evidence against stated criteria, such as specific requirements, measures, or defined business practices. Performance audits can include any subject that can be assessed against criteria. 1.21 Performance audits provide objective analysis, findings, and conclusions to assist management and those charged with governance and oversight with, among other things, improving program performance and operations, reducing costs, facilitating decision making by parties responsible for overseeing or initiating corrective action, and contributing to public accountability. The performance auditor and the auditee need to agree on several important matters. The auditor and the client must need to agree on the criteria, the objective, the level of assurance, and whether the auditor should follow any audit standard other than the Yellow Book. This level of flexibility makes CPA firms quite nervous. They don’t like to be non-commital when comes to the promises they make; they’ve got to worry about that liability, you know. So, AICPA standards require CPAs to get the client to agree to the audit criteria, objective, level of assurance and audit standards in writing before they begin the engagement. Performance auditors are not held to this requirement. To summarize, financial audits express an opinion on the financial statements – some component of the financial statements – and/or add a bit of compliance work (as in the case of the single audit). Any other type of assurance engagement can either be classified as an attestation engagement or a performance audit. Performance audits can be just about anything EXCEPT opinion audits of the financial statements. And performance audits, like financial audits, require a lot of work because they usually involve working at a reasonable (high) level of assurance. The Yellow Book addresses these sorts of engagements in the attestation standards, chapter 7. The GAO has felt it necessary to spell out which standards are optional and which are mandatory because the GAO doesn’t want you following GAGAS in spirit only. In chapter 2, the GAO defines the terms “must” and “should.” In general, “must” means mandatory and “should” means mandatory unless you have a compelling reason to deviate. 1.Unconditional requirements: Auditors and audit organizations must comply with an unconditional requirement in all cases where such requirement is relevant. GAGAS uses must to indicate an unconditional requirement. Unconditional requirements mean that you do not have an option to follow the requirement. You must comply with these requirements. When you see the word “must,” you will have a hard time justifying a departure and will not be able refer to the GAO in your report. If you see the word “should,” then you have a little more wiggle room. You can choose not to comply with a “should” statement, but you will need to justify the departure in your working papers and disclose your non-compliance in your audit report. Ouch! 2.03 In rare circumstances, auditors and audit organizations may determine it necessary to depart from a relevant presumptively mandatory requirement. In such rare circumstances, auditors should perform alternative procedures to achieve the intent of that requirement. 2.04 If, in rare circumstances, auditors judge it necessary to depart from a relevant presumptively mandatory requirement, they must document their justification for the departure and how the alternative procedures performed in the circumstances were sufficient to achieve the intent of that requirement. In the 2018 Yellow Book, the must and should statements appear in a box. The GAO goes on to explain a third category of discussion in the standards – explanatory material. 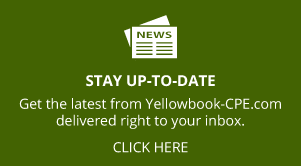 Explanatory material is introduced with the words “may,” “might,” or “could.” In the 2018 Yellow Book, the explanatory material sits outside the box. 2.07 GAGAS contains requirements together with related explanatory material in the form of application guidance. Not every paragraph of GAGAS carries a requirement. Rather, GAGAS identifies the requirements through use of specific language. GAGAS also contains introductory material that provides context relevant to a proper understanding of a GAGAS chapter or section. Having an understanding of the entire text of applicable GAGAS includes an understanding of any financial audit, attestation, and reviews of financial statement standards incorporated by reference. Say “GAGAS” only if you mean it! 2.17 Auditors should include one of the following types of GAGAS compliance statements in reports on GAGAS engagements, as appropriate. (1) followed unconditional and applicable presumptively mandatory GAGAS requirements or (2) followed unconditional requirements, documented justification for any departures from applicable presumptively mandatory requirements, and achieved the objectives of those requirements through other means. 2.Modified GAGAS compliance statement: Stating either that (1) the auditors conducted the engagement in accordance with GAGAS, except for specific applicable requirements that were not followed, or (2) because of the significance of the departure(s) from the requirements, the auditors were unable to and did not conduct the engagement in accordance with GAGAS. 2.18 When auditors use a modified GAGAS statement, they should disclose in the report the applicable requirement(s) not followed, the reasons for not following the requirement(s), and how not following the requirement(s) affected or could have affected the engagement and the assurance provided. One team of monitors who was not required under any statute, law, or policy to follow the Yellow Book decided to brag that they followed Yellow Book standards in their audit reports. It was a point of pride with the team, and the client was duly impressed with their extra professionalism. However, the monitoring team had never undergone a peer review and had no plans to suffer one. Also, the management of the team didn’t want to pay for everyone on the team to be current with the 80-hour CPE requirements. At best, the team members got 20 or so hours of education every two years. The management team reasoned that they were following the Yellow Book in spirit. In light of the definitions of “must” and “should,” they had a choice to make. They needed to either (1) explain in their audit reports that they were following most governmental standards but were uneducated or unwilling to undergo the scrutiny that they put their clients to, or (2) drop reference to the Yellow Book in their audit reports all together. They chose the latter. In a roundabout way, the GAO has emphasized the significance of their standards by requiring us to tell on ourselves when we do not take the standards seriously. The concepts of transparency and accountability are now being applied to us! I should mention here that performance auditors have whole paragraph that they must add to their report.